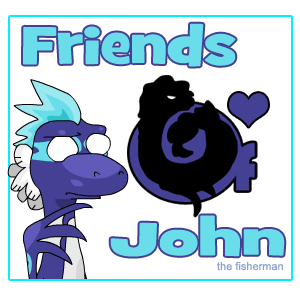 Are you a friend of John? Elly's huggable - if somewhat slimy -- leviathan pal has many good friends on this site. Every member of FoJ will receive an FoJ babeh to do with as they please, name it after themselves or whatever.